HOUSE FULL OF WINDOWS WINNER! 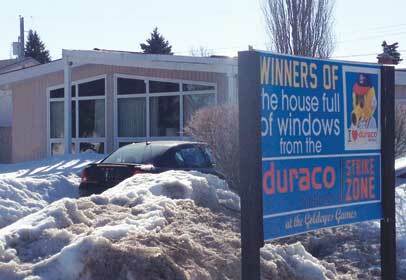 House Full of Duraco Windows! Duraco Goldeyes Winner for the House Full of Windows Contest! On September 3, 2012 at the Fan Appreciation Day, Dan Chase + Matthew Guberman drew for the HOUSE FULL OF WINDOWS. 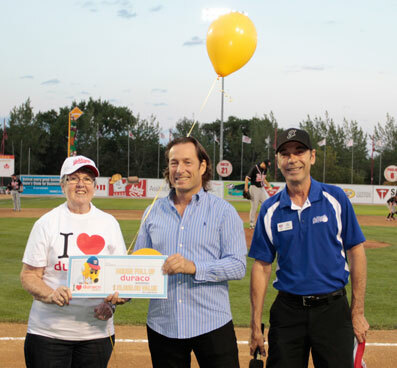 The Winner was long time Goldeyes fan Sandra Wood! Sandra replaced all of her windows and a door!